Madonna's onetime costumer designer and stylist Marlene Stewart created looks for the videos “Material Girl,” “Papa Don't Preach,” “Like a Prayer,” “Express Yourself,” “Vogue” and for the Queen of Pop's early tours. 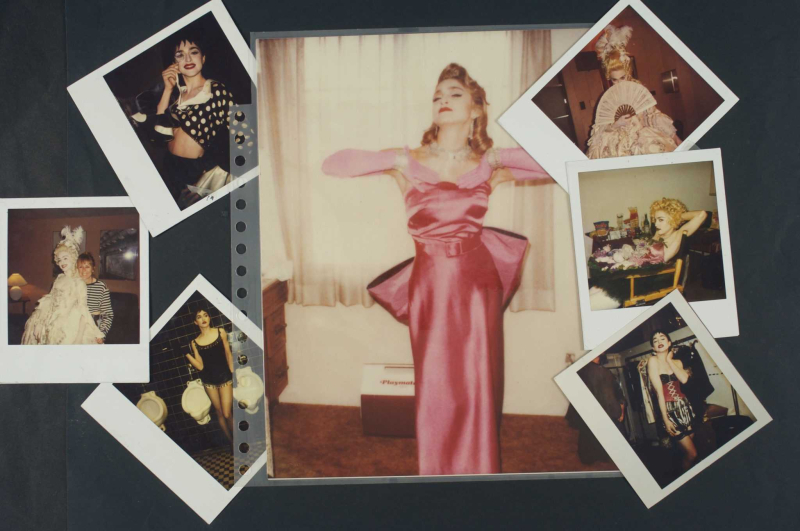 Now, she has unveiled a lavish personal website that includes never-before-seen test Polaroids of Madonna that are truly eye-popping. Central is Madonna during her "Who's That Girl" phase; surrounding are Polaroids from her Pepsi spot, MTV's "Vogue" and "The Immaculate Collection"
Stewart's test Polaroids represent, to me, the best of the best imagery of Madonna in that medium, right up there with Maripol's and Richard Corman's art shots. The image of Madonna as Marilyn looks like a blow-up of a Polaroid; whatever it is, it is stunning, as are the gasp-inducing Pepsi ad shots. Visit Marlene's site here for more on her illustrious career.